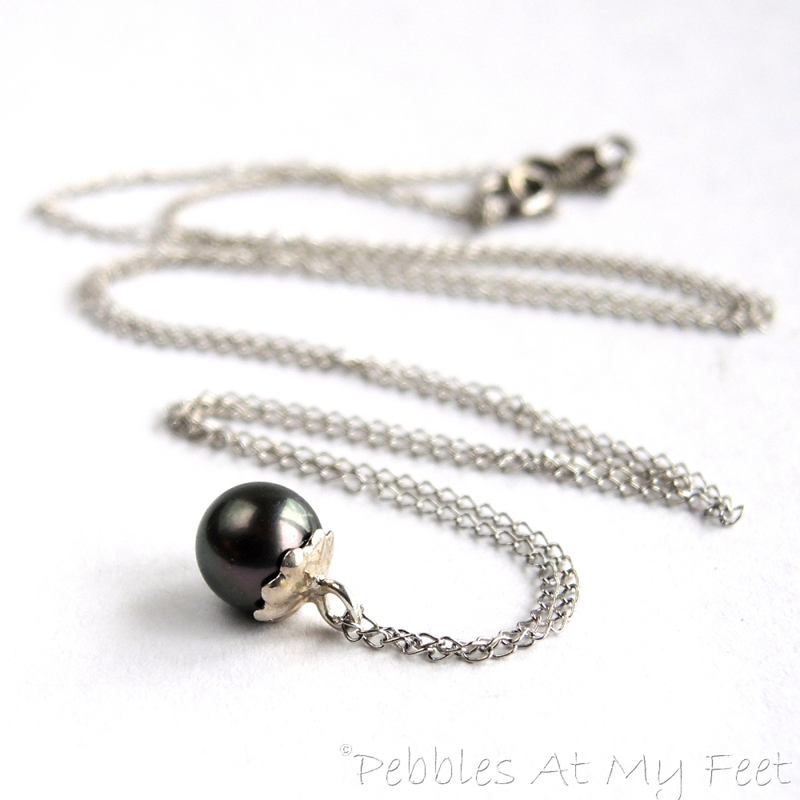 Classic pearl necklace is thoroughly modern in a delicate barely there style. 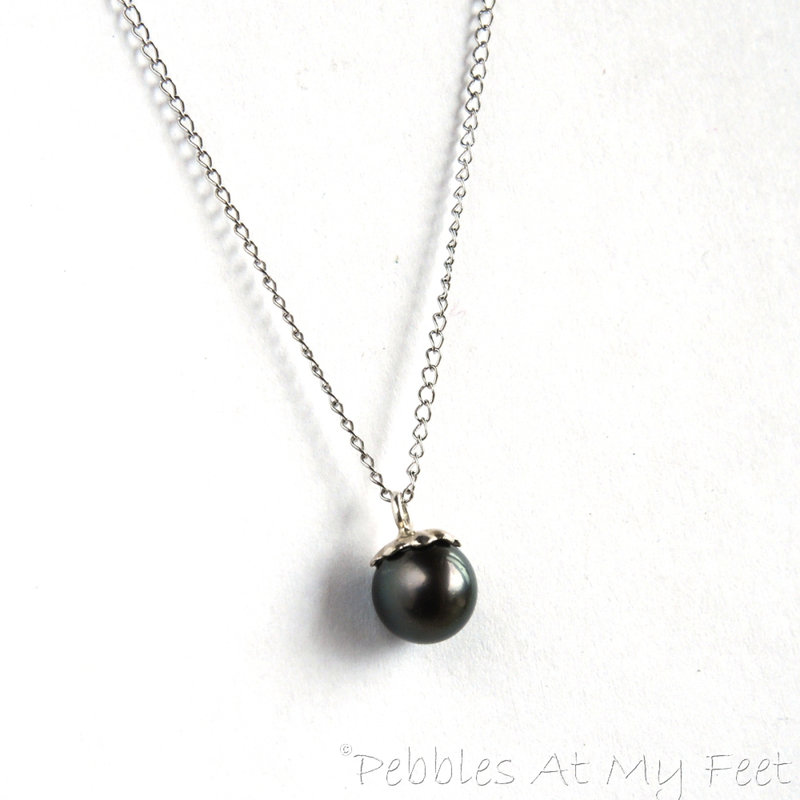 This black peacock pearl solitaire necklace is the kind of jewelry you'll wear every day layered with other tiny minimalist chains or all by itself. The pearl is a beautiful AA quality cultured half-drilled pearl, new old stock, from the 1960's. It is perfectly round with a gorgeous pearly surface shine with raven's wing colors cast from a deep bluish eggplant base color. In certain lighting conditions, you might see green and gold, and silver colors in the pearl as well. The black pearl is quite small, about 1/4-inch in diameter. 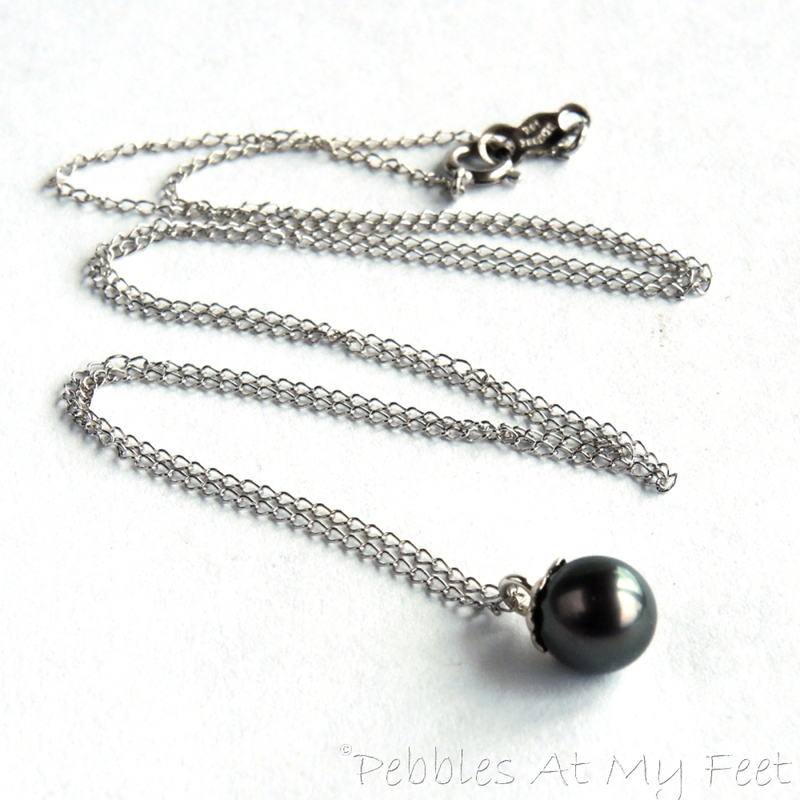 I've set it in a sterling silver fluted cap that has a little peg to more securely hold the pearl. I chose a very delicate curb link chain, also sterling silver, so that the loop on the cap would slide on the chain without an extra bail. The necklace's sterling silver chain is finished to 18" and closes with a spring ring and chain tag. 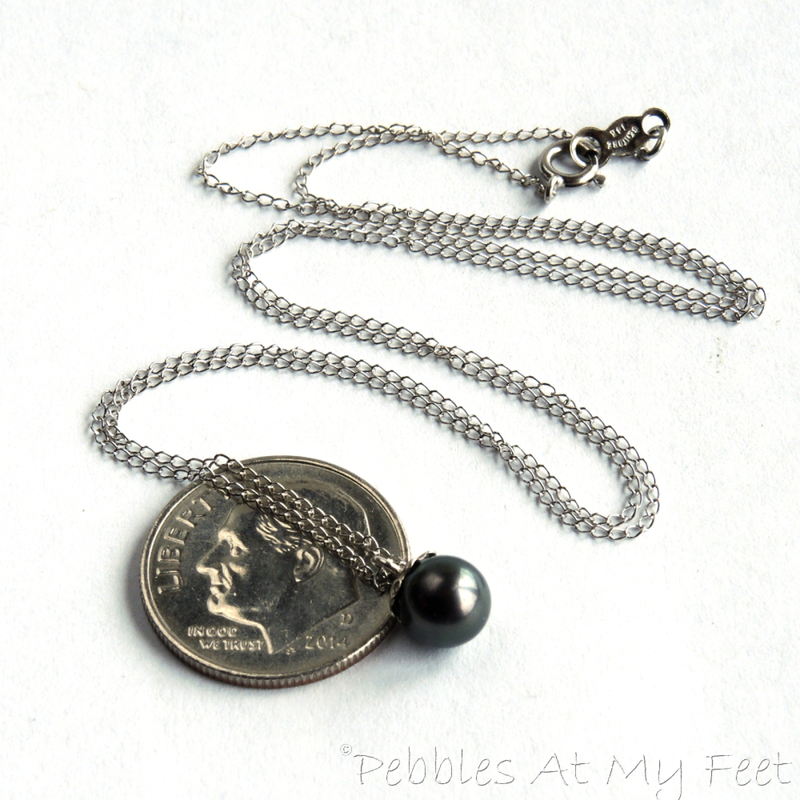 This little beauty would love a spot in your minimalist jewelry wardrobe. It will wear well with your casual dress as well as a sleek party silhouette. Simple and fabulous.